As part of a mini-series on nuclear fusion on the Cassandra blog, here is a brief discussion on the status of the approach to fusion based on hot plasmas; the so called "tokamak" configuration. This technology is progressing at a very slow rate: the first energy producing plants are planned to appear not earlier than in several decades from now (if ever). Given the situation, we may be making a big communication mistake if we present this approach as the solution to the world's energy problems. At this rate of progress, many people have already lost their patience and are taking refuge in pseudoscience and outright scams. 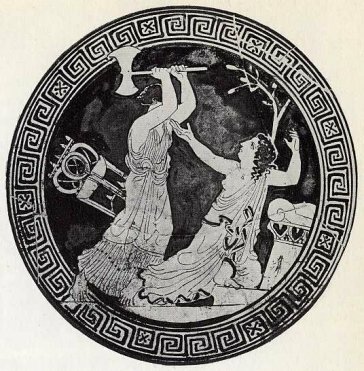 (image above from an article by Jean Pierre Petit). 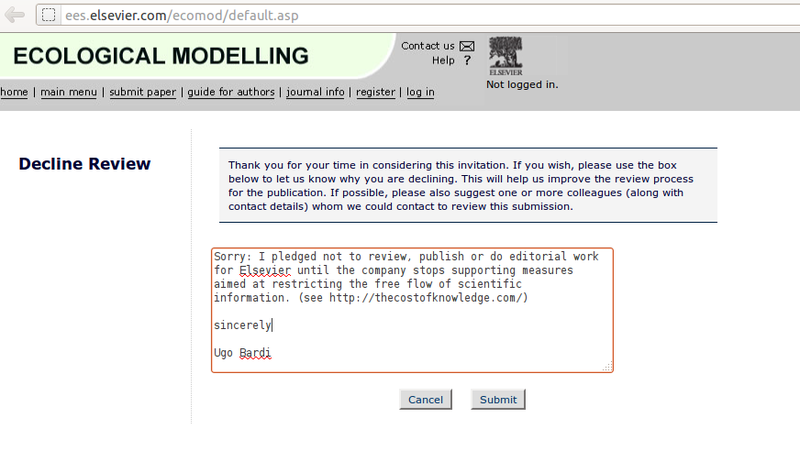 There is an unwritten law that rules industrial research and development. It says that you have to demonstrate that your idea can work in no more than three years. In exceptional cases, five years may be the limit but, normally, no industrial research project lasts more than that. If a project produces no useful results in five years, then there are good chances that it never will. There are several examples of the "three years law" (or, maybe, "five years law"). Think of the Wright brothers: their first glider flew in 1900 and three years later they flew the first engine powered plane in the world. Think of nuclear fission; the Manhattan project was active from 1942 to 1946 and in less than three years it created both the first nuclear bomb and the first nuclear reactor. The law seems to hold independently of the ambition of the project: whether it is a bicycle or a spaceship, it has to show that it can work in a few years. Conversely, consider the "War on Cancer", launched in 1971 by President Nixon. In more than 40 years, a lot of progress has been made in basic research on cancer, sure, but the war has not been won. Think of hydrogen as fuel. The idea of a "hydrogen based economy" goes back to the 1960s but, so far, nothing practical exists on the market. This kind of long range projects can generate good basic research, but it can hardly produce practical results. So, let's examine the idea of controlled nuclear fusion in this light. We are still working, mostly, on the "tokamak" concept, proposed in the 1950s by the Russian physicist Andrei Sakharov. There is no doubt that tokamaks can produce nuclear fusions but, in more than 50 years of work, we haven't been able to reach the "breakeven" point, that is the condition when the ratio of the energy produced by fusion is the same as the energy needed to keep the plasma in steady state. The European ITER project on nuclear fusion is supposed to reach and exceed that point when it becomes fully operational in 2026, that is about 20 years after the start of the project. The whole ITER project should last until 2038. These are anomalously long times for an industrial research project. Consider also that, even if ITER attains its goals, we are orders of magnitude away from a device actually able to produce useful energy. Now, of course, it is impossible to say that tokamaks will never produce useful energy. But look at the figure at the beginning of this post. Doesn't it make you wonder? It looks like we are just making the same machine bigger and bigger, in the hope that, eventually, it will work. Think if a 747 were to look just like the Wright plane, just bigger. It is not impossible to argue that we have taken a no way out road with tokamaks, as discussed in a recent article by Jean Pierre Petit. Other physicists, such as Luigi Sertorio, are also very skeptical about these nuclear fusion efforts. 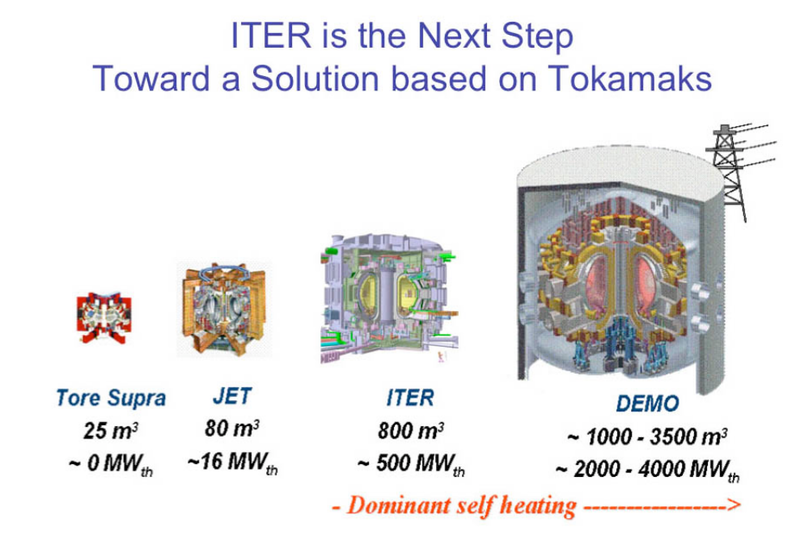 In short, the ITER project is not an industrial research project: it is a basic research project. Of course, there is nothing wrong in studying nuclear fusion, very high temperature plasmas, and the like. It is good science performed by competent people and we can learn a lot of useful things from this work. And, in doing that, we might even find the way to obtain useful energy. But we can't think of ITER (or similar fusion research efforts) as something directly aimed at solving the world's energy problems. The problem is that few people may know the "three years law" of scientific research, but there are limits to human patience. From the dawn of the "nuclear age," people have been told that science can solve the world's energy problems with nuclear fusion. But they haven't seen anything that works in 50 years. Now, they are being told that they have to wait for several decades more. At this point, it is not surprising that we see so many people seeking refuge in pseudoscience and in the outright scams of the recent craze on "cold fusion." That's a disaster, because people become easily convinced that there are miracle solutions to the energy problem and they tend to neglect technologies, such as renewables, that are not so glamorous but that do produce energy. But there are no miracles in science and we must do with what we have now. Some things, in life as in fiction, are highly predictable. One of these is the plot of horror movies. As the story moves on, you know exactly the destiny of the young lady who decides to undress and take a shower while alone in the house. And you know exactly what's going to happen to the hapless character who, while exploring the haunted house, says, "Hey! I heard a strange noise coming from the basement. You stay here, I'll go down there to investigate". It is part of the fascination of this kind of movies: rational judgment is suspended as the plot unfolds and you keep watching without asking yourself why exactly those people found themselves at midnight in that cemetery, in the moonlight, while a horde of zombies is approaching. It is with the same kind of fascination that you may have been watching the plot of the "Energy Catalyser," or "E-Cat" unfold, the weird device that Andrea Rossi claimed to be a nuclear reactor, able to solve all the energy problems of humankind. A real horror movie set in Bologna, Italy, where plenty of hapless characters have been sucked in and metaphorically devoured by the E-Cat horror. The plot has followed all the predictable steps for this kind of stories. First, in January 2011, there was the announcement of the discovery of the home-made nuclear reactor. That attracted plenty of hopeful people looking for a solution for the energy crisis just as, in movies, old haunted houses attract scantly clad young ladies. Then, the plot moved on, according to well known rules. 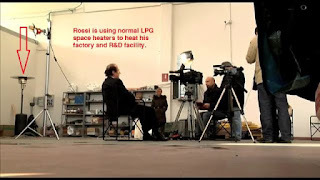 We saw plenty of scenes in which inventor Andrea Rossi attempted to demonstrate how his device was supposed to produce energy. He looked very much like Gene Wilder in "Young Frankenstein", while trying to revive the monster (Image by Renzo B, from 22passi: Frankenstein and Igor on the left, Andrea Rossi and Sergio Focardi on the right). And what we heard from Rossi about the innards of his machine sounded very much like the introduction speech about space vampires in the famous movie "Plan 9 from outer space"
Some of the cheap effects of the movie were easy for everybody to detect. Just think of the gas heater used to warm the factory when the nuclear reactor was supposed to do the job alone. 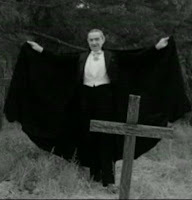 Nevertheless, the interest in the movie never waned: with plenty of twists in the plot, evil characters, monsters, conspiracies, mysteries, the military, secret services, and more. 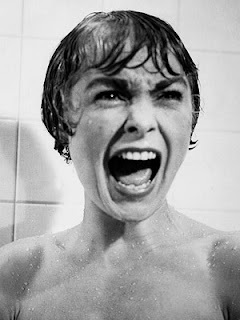 Still, even a good horror movie must end at some moment: after a couple of hours, you go home and you forget about zombies and vampires. So, the E-Cat movie arrived to a close, with recent events leading to the final showdown. The villain has confessed his crime, the secret has been revealed. 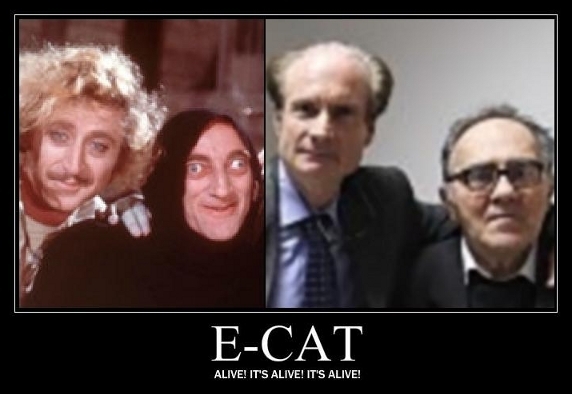 Is it the end of the E-Cat horror? Maybe it is the end, but we can't really say. Maybe there will be a sequel. It will have new twists in the plot: most likely, we'll see how the efforts of the savior of mankind have been thwarted by the evil conspiracy of oil companies or the lobby of renewable energy. The E-Cat horror still lurks in the shadows! In case you are interested in the real world, rather than in fiction, you can read an excellent confutation of Andrea Rossi's claims about the E-cat in an article by Antonio Turiel. The recent events, in which Rossi confessed that his device is not a nuclear reactors are described here and here. The complete documentation can be found here. Rossi himself confirmed everything here here. h/t to Antonella for providing the inspiration for this post. It is well known that Cassandra was cursed so that her prophecies would never be believed. But there exists also an opposite curse affecting charismatic leaders who are always believed by their followers. In the long run, leaders are deluded into believing themselves infallible and the results are often disastrous. We could call that the "anti-Cassandra" curse. People are easily duped into following charismatic leaders, as it is well known. But, while the psychology of adepts is not so difficult to understand (we all may fall in the trap, at least occasionally), it is less clear what passes in the minds of leaders. Do they really believe that they are as smart and powerful as they present themselves to their followers? Or are they consciously misleading their adepts for personal gains? Of course, both possibilities may be true in different circumstances, but a recent posting by Sam Harris convinced me that, in many cases, the leader is even more deluded than his/her followers. Now, I think you'll agree with me that what we are seeing looks very much like a staged fight. It is hard to say what exactly these guys are doing: maybe it is a show or maybe they are training as actors for some Chinese Kung-Fu movie. For sure, it seems unthinkable that their black-clad leader, Mr. Yanagi Ryuken, would believe that he can really defeat people in this way; without even touching them. Master Ryuken apparently believed himself capable of defeating multiple attackers without deigning to touch them. Rather, he could rely upon the magic power of chi. Video of him demonstrating his devastating abilities shows that his students were grotesquely complicit in what must have been a long and colorful process of self-deception. Did these young athletes actually think that they were being hurled to the ground against their will? It is hard to know. What seems certain, however, is that Master Ryuken came to believe that he was invincible; otherwise he wouldn’t have invited a martial artist from another school to come test his powers. I think this is a very general principle: leaders are easily subjected to this kind of self-delusion that we could call the "anti-Cassandra" curse. Whereas Cassandra was cursed so that she was never believed, charismatic leaders are cursed so that they are continuously believed and praised by their followers. Apparently, at some point something goes short-circuit in their minds and they start thinking that they really are invincible geniuses able to perform miraculous feats. Mr. Ryuken gives us an especially impressive example in the area of martial arts. But the anti-Cassandra effect is active in many fields and it may be especially common in politics. Think of Benito Mussolini; Italy's charismatic leader for more than 20 years. During those times, a common political slogan in Italy was "Mussolini is always right." In the end, it backfired, affecting Mussolini's mind and the disastrous results are well known. From Hitler's invasion of Russia to Saddam Hussein's invasion of Kuwait, country leaders consistently overestimate their power, most likely being misled by the aura of power that their own propaganda creates. Science is not immune to the anti-Cassandra curse. Think of the recent case of the "Energy Catalyser" or "E-Cat," the miracle nuclear device invented by Mr. Andrea Rossi. The lack of evidence on the powers of the E-Cat is rapidly consigning the device to the depths of "pathological science", where it belongs. Nevertheless, Rossi still claims that his invention is a nuclear reactor and he maintains a number of faithful followers who heap lavish praise on him (see here - in Italian). Does Mr. Rossi actually believe in the E-Cat power, just as Mr. Ryuken believed in his own chi power? Of course, we can't say for sure, but there are hints that Rossi may be a believer, not a scammer. If he had been consciously cheating, he could easily have used tricks to make his device appear to produce plenty of energy. Instead, what we see in the purported "demonstrations" of the E-Cat operation is simply a poor set-up that can't demonstrate anything. That, of course, leaves space for the believers to keep their faith intact. That's a group which may well include Mr. Rossi himself. There are many more examples of the Anti-Cassandra effect at work, but at this point the mechanism should be clear. It is the result of a feedback which occurs between the leader and his (rarely her) followers. 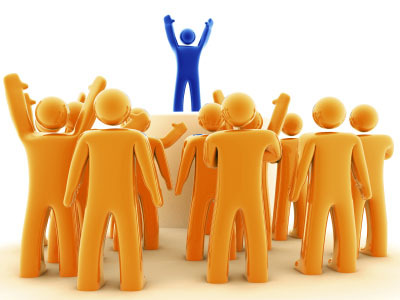 It is self-sustaining: as leaders are praised by their followers, they become more convinced of their own powers. This makes them very sure of themselves and that affects their followers who believe more and more in the power of their leaders. The end result can only be disaster. We could use the term "Ryuken effect", to define the sad fate of a lone deluded leader. 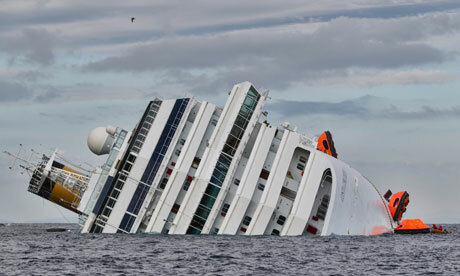 But, more often, the disaster strikes also followers and innocent bystanders. In the end, perhaps it is better to be a regular Cassandra. Nobody believes you, of course, but, at least, you don't overestimate your powers! 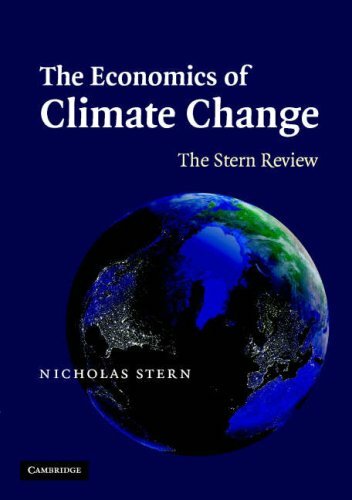 The Stern Review (2006) is a good example of the attitude of economists towards climate change. Economists may not be familiar with climate modeling, but they can notice a trend when they see one and they didn't miss that the ongoing rapid rise in the world's temperature is leading us to no good. "Economist bashing" is rather fashionable nowadays (for a particularly scathing example, see here). I must confess that, occasionally, I have indulged in this habit, too. However, on the whole I agree with Lou that it is not a good idea. True, economics as a science has a lot of problems and it is rarely able to come up with good models that take into account resource depletion. But there is a redeeming grace in the approach of economists to science: it is their nearly religious respect for the data. Economists may not be familiar with climate models, but their respect for data makes them able to understand that the temperature record shows a robust warming trend. They also understand that global warming is leading us to no good. The consequence is that several economists are actively supporting real science in the debate on climate change. 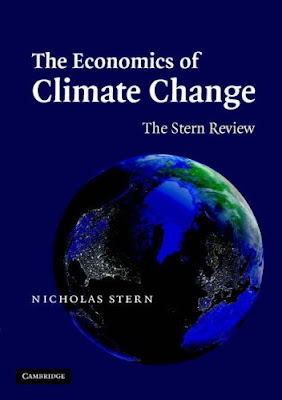 One needs only to mention the role of Nicholas Stern, with his "Stern Report." Now, William Nordhaus, professor of economics at Yale University, comes up strongly in defense of science after having been misquoted in an article published on the Wall Street journal. Nordhaus does very well in highlighting the contradictions and the falsities of the global warming "skeptics" in this article. There is wisdom in economic sciences! Read the rest of this article on "The New York Times"
I said I would do it; and I am doing it. I wonder how many of these letters they are receiving and what they are thinking about that.